The Liszt Nightclub + Lounge brings the night life to The Shoppes at Northpark. 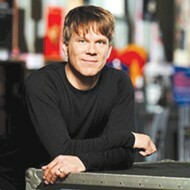 Michael Szekely opened The Liszt Nightclub + Lounge after working at Groovy’s for nearly 25 years. During the day, determined mall walkers march past The Liszt Nightclub + Lounge’s dark glass entryway. The smell of nearby Billy Sims Barbecue wafts from down the hall, and the cycled flow of several indoor fountains produces a soothing white noise inside The Shoppes at Northpark’s brightly lit corridors. But in the evening, a different scene begins to unfold on the other side of The Liszt’s glass doors. Pop music from a mix of the last five decades is cranked loud. A long, polished bar is helmed by attentive staff who see to guests’ orders with speedy efficiency. 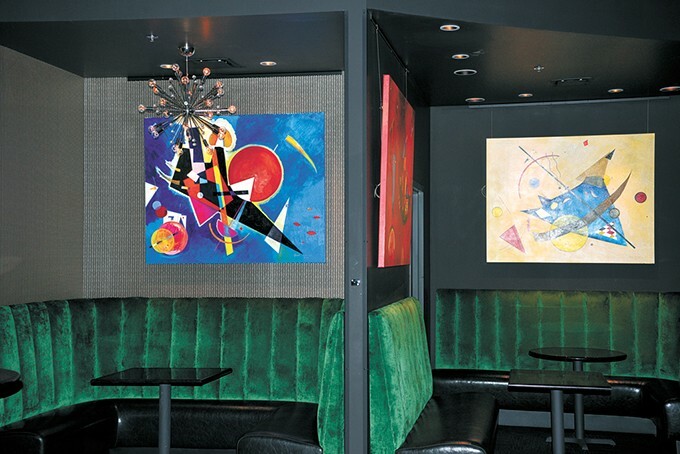 Plush booths are decorated with custom abstract paintings. Fog and laser lights transform the dance floor. 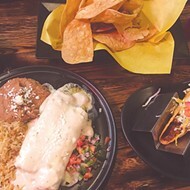 It is hard to imagine anything further from Northpark’s quiet reputation. But the once-sleepy community mall is now a night owl. 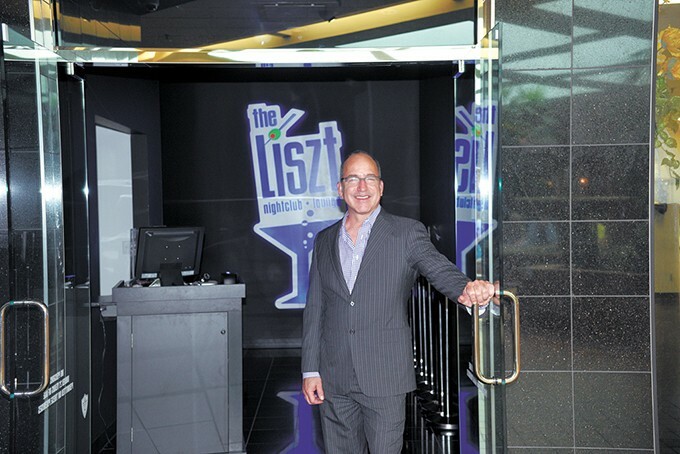 Owner Michael Szekely officially opened The Liszt in March after more than two years of planning and meeting zoning requirements. The club, located near Northpark’s south entrance at 12100 N. May Ave., is open 4-8 p.m. Monday-Wednesday, 4 p.m.-2 a.m. Thursday-Friday and 8 p.m.-2 a.m. Saturday. Cover is $11 Friday and Saturday nights. There are certain things one must consider when starting a new nightclub: Is the owner willing to let you rent their property? Is there ample parking? Is the location in an area that needs a nightclub? Is the rent affordable? When people ask Szekely why he chose to put his club in a mall, he points out all of those factors. The Liszt’s clientele skews older than the 21-25 demographic to which many other nightclubs cater, though the lounge is a welcome environment for all age groups. While it’s possible to dance to a DJ into the wee hours of the morning, Szekely also wants the spot to become a happy hour destination for nearby workers and community members. The Liszt is a nightclub with class and a constant eye on maintaining a safe and enveloping atmosphere. “We’ve got a little bit of something for everybody,” Szekely said. Local artist Brent Learned custom-made several abstract paintings for The Liszt Nightclub + Lounge. The paintings inside The Liszt are all custom works by local artist Brent Learned. 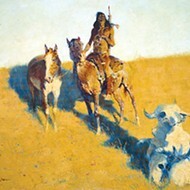 Though Learned is known for creating Native American pop art, the paintings inside the club purposefully channel Russian-born 20th-century abstract artist Wassily Kandinsky. The most prominent piece in the club is an expressionist portrait of famous Hungarian composer Franz Liszt. The pianist’s famously long-fingered hands are stretched out straight in front of him, almost as if he were DJing a set in the club. Aside from being a homophone for the exclusive “list” of club lore, Liszt’s name graces the club as a nod to Szekely’s father, a Hungarian immigrant from Transylvania who moved to the United States in 1950. Szekely’s father was a prisoner of war held captive in Austria during World War II. When the war ended, formerly Nazi German-occupied Hungary was made a satellite state of the Soviet Union. Hungarian quality of life under the USSR was far inferior to what it had been before the war. “[My dad] said, ‘You know what? We can’t go home, so let’s go make something of ourselves in the world,’” Szekely said. Szekely’s father was 27 when he came to the U.S., which is where he met his wife. He died in 1996. Szekely is the only member of his family alive today in the U.S., but he has traveled back to Hungary every year since 1996 to visit relatives. Many will likely recognize Szekely from his 24 years of experience as a bartender and general manager at Groovy’s nightclub, which is about five miles south of Northpark. Szekely loved his time at the club but knew after several decades that it was time for something different. “I was getting a little long in the tooth to bartend, and I thought it was time for a career change in something I had done for a long time,” he said. The club business is something intimately familiar to Szekely. He also recognized a need for a club and lounge in far north OKC. When an opportunity came up inside Northpark, he pounced on it as soon as he could. Szekely officially left his job at Groovy’s in September 2017. For a long time while he still worked there, he kept his plans to open a new club secret from his employer, but when he finally did tell Groovy’s of his intentions, he said the club gave him their full blessing. Though Szekely is applying some knowledge he gained over his time with Groovy’s on his new club, The Liszt is more contemporary and upscale than the other club’s ’70s, ’80s and ’90s disco feel. 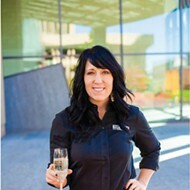 If there is anyone worried about how the new nightclub might affect mall security, they have not told Kevyn Colburn, the vice president of Tom Morris Enterprises, which operates Northpark. The Liszt is about as secure as a nightclub can be. A bouncer scans the driver’s licenses of incoming guests and makes sure they’re valid. If there is any problem with a particular guest, they can put a ban warning on them that will show up in the computer system next time they attempt to come through. No one has been banned from The Liszt yet, nor has the club had any significant security issues. The club also pays for a parking lot service detail in addition to the mall’s own security personnel. Colburn said The Liszt has brought an unprecedented level of buzz to Northpark. “I’ve worked here for 25 years, and we’ve had more questions, more excitement, more media coverage and more everything about this club than anything we’ve ever done,” she said. Szekely wanted to continue his work in the club business because there are few things he enjoys more than seeing other people happy. “I enjoy and really revel in being able to provide a place for people to come and have fun,” he said. 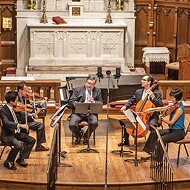 The Liszt hopes to be more than just another place its guests go to in a day. Szekely wants patrons to step into a new space and time separate from all their real-life stresses and concerns — to feel free, even if just for a few hours.